This chapter covers the northern part of France. We start on the Belgium-French border and we end just north of Calais. The next part covers KVA C and starts with the battery Oldenburg. The area was frequently visited in one day trips, Henk Adriaanse made many of them. 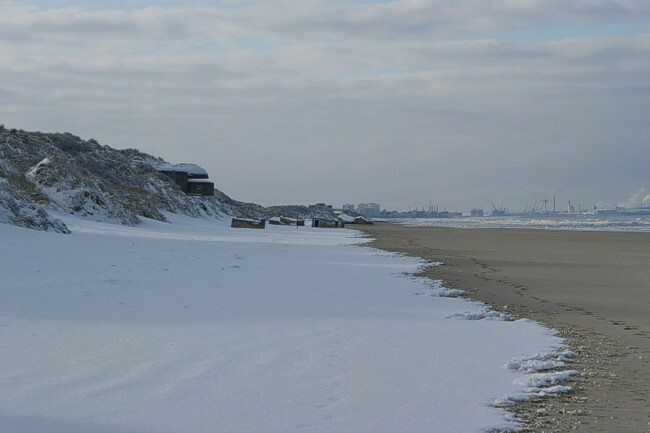 A view over the beach at Zuydcoote with in the background Dunkerque.